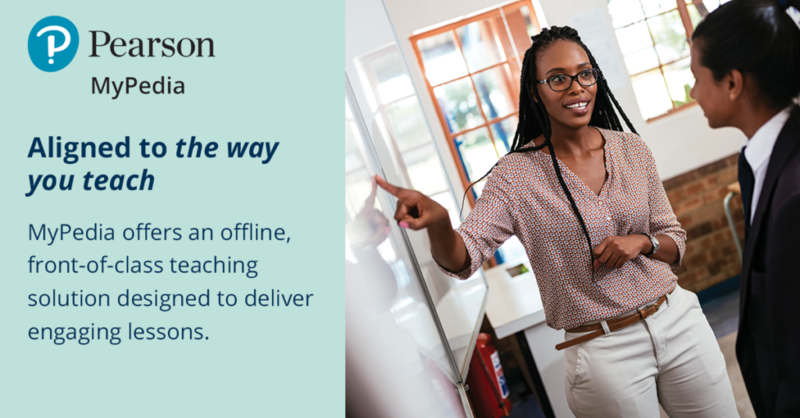 Pearson is another one of ADESSA’s members that will be present at the Cape Winelands Education District’s elearning confernce/expo on Saturday, 9 March 2019. For those who are still struggling with adequate internet connectivity, MyPedia, an offline tool, will be of great interest. Each learner has a unique learning style; not all learners in a class will master the curriculum in the same way. Core textbooks may not provide all the aspects required to teach a concept to all learners. Supplementary resources expose your learners to concepts and skills in multiple ways, enhancing the probability of effective learning. In order for learners to function at the higher cognitive levels that are demanded, they should go well beyond recalling and basic understanding. Supplementary resources provide learners with the additional skills and knowledge they need for success in the twenty-first century. While core textbooks may have limited practice examples and exam-type questions, supplementary resources provide additional opportunities for practice and exam preparation. Furthermore, the use of different resources in the classroom can make lessons more interactive, enjoyable and engaging. This will help make classroom management and discipline easier. The correct choice and implementation of supplementary resources as part of teaching and learning can lead to a significant improvement in learner results. 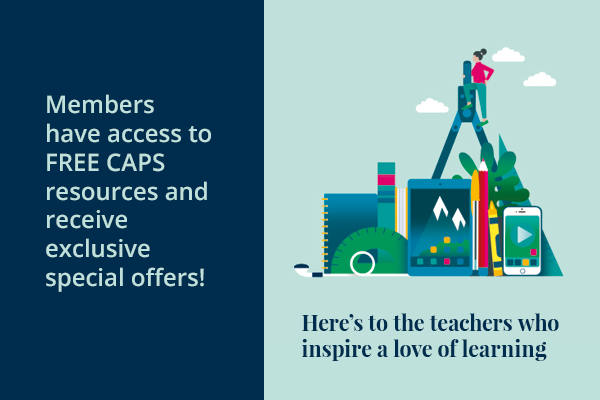 Choose resources with high quality content that is accessible to learners. Material that has a user-friendly layout, will help learners engage effectively with the content. Work through a part of the resource to assess the level of quality and suitability. Choose resources that are suitable for use in the classroom and allow learners to work independently. This is especially important at high school level. Working through examples and completing structured exercises with answers enable learners to practice, assess and improve their skills at their own pace. Consider whether or not the resource is best suited for your classroom. For example, if your school has a strong internet connection and your learners are using tablets, use enhanced eBooks with embedded digital assets. Also consider using educational apps that allow you to assign quizzes as homework instead of giving them printed worksheets. Ask colleagues to recommend resources they have successfully used and found valuable. Visit Classroom Solutions to discover supplentary resources from Pearson, Maskew Miller Longman and Heinemann.